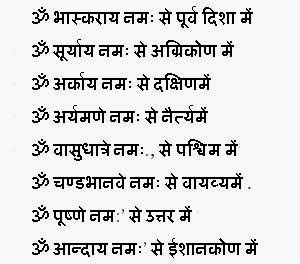 Eight directions or ashta dikh is of great importance in Hindu religion. 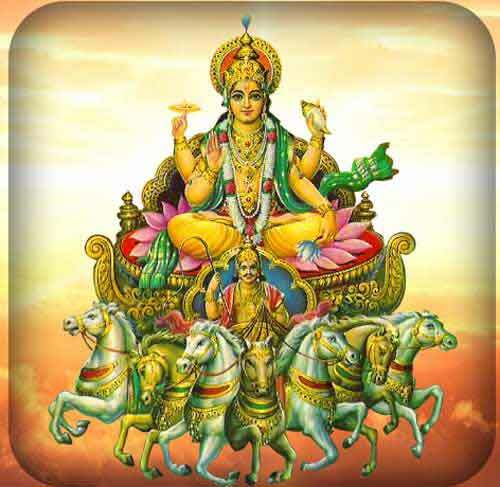 When prayers are offered to Surya, a devotee stands facing eight directions in clockwise. A mantra is chanted for each direction. The mantra was taught by Sri Krishna to Yudhishtira. The eight direction prayer dedicated to Surya is given below in Hindi.